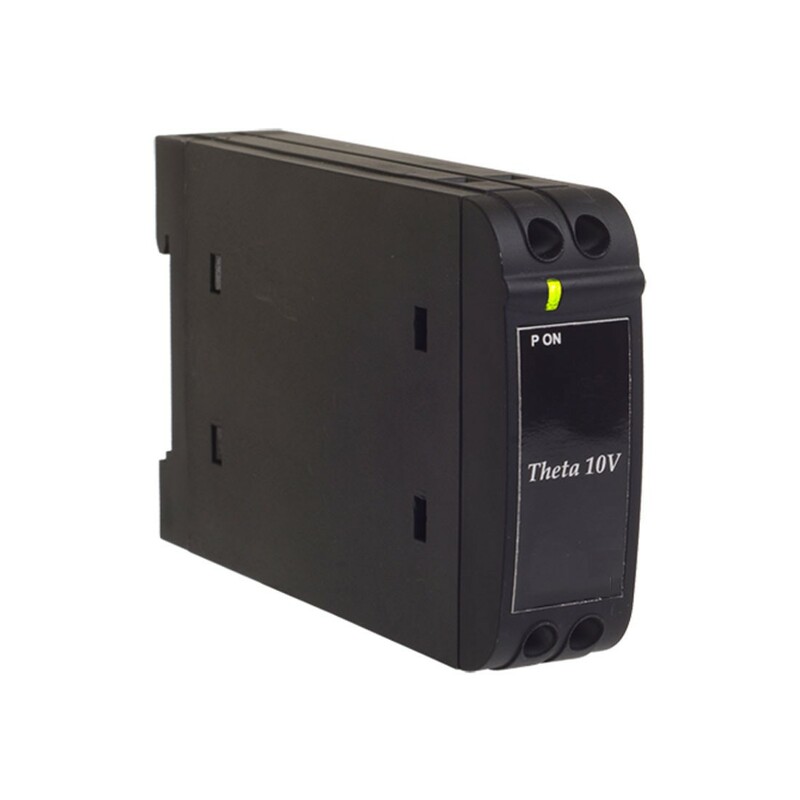 The DIN Rail mount Theta 10A/10V is used to measure and convert an AC Voltage or Current input signal to a load independent DC Voltage or Current signal. Choose the option which best works for your application. Voltage Input: 63.5V to 500V. Current Input: 1A to 5A. DC Output: 0-10mA, 0-20mA, 4-20mA, 0-5V, 0-10V. Power Supply: 40-300VAC/VDC or 24-60VAC/VDC. Operating Temperature: 0°C to 45°C / 32°F to 113°F.